It’s that delicious time of year again when the much-loved donut gets some extra attention for its fried, doughy goodness and the makers who bring the sweet confection to the forefront. Here are five local donut shops offering customers a reason to celebrate National Donut Day on Friday, June 1. Sweet Retreat Donuts will offer their popular cake, blueberry, red velvet or banana bread donut to the first 30 customers with any purchase, said co-owner Sreyrot Chan. The gourmet donut shop will also be unveiling several new flavors on Friday, including green tea matcha cake, taro cake, maple bacon banana cream, tres leches coffee and a vegan fresh strawberry-filled donut, among others. Sweet Retreat Donuts is located at 924 East Pacific Coast Highway. This recently opened mini-donutery on 4th Street is offering four free sprinkled vanilla bean donuts with the purchase of one dozen donuts for National Donut Day. Call ahead to place a pre-order or you may be stuck in line for a bit. One offer per person. Do Good Donuts is located at 2707 East 4th Street. 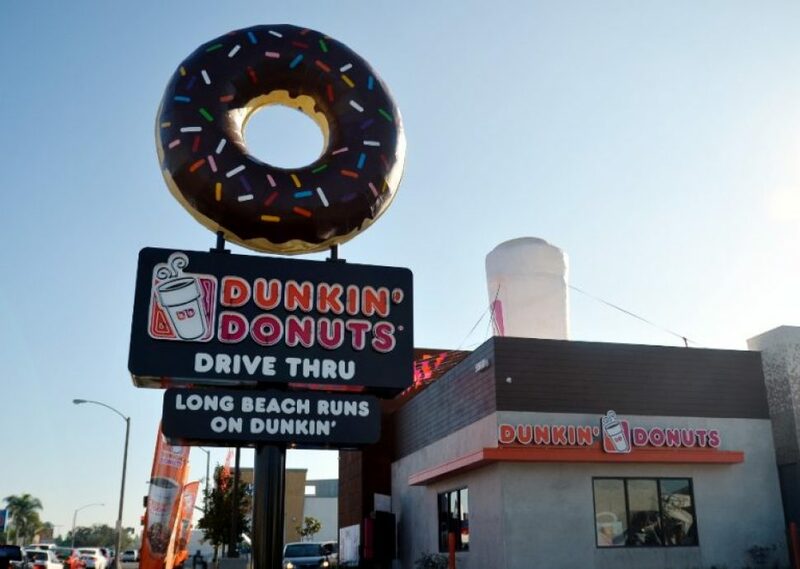 Dunkin’ Donuts, with a recently opened location at the new Long Beach Exchange development in East Long Beach, will offer a free classic donut with the purchase of any beverage. Additionally, Dunkin Donuts’ classic donut varieties will feature new names, including Boston Kreme Bash, Old Fashioned Good Time and Frosted Fun, according to a Dunkin’ Donuts announcement. Dunkin’ Donuts is located at 5560 East 7th Street and 3861 North Lakewood Boulevard, Suite 100. Shaq Is Ready, Are You? At Krispy Kreme no purchase is necessary to pick up a free donut. Customers can choose any flavor, whether that’s a blueberry glaze or original glazed donut. Krispy Kreme is located at 4760 Los Coyotes Diagonal. The first 25 people to stop by Cambodian-owned Knead Donuts will get a free Very Berry Blueberry donut. Knead also offers Vietnamese coffee, boba teas, croissant sandwiches and smoothies. Knead Donuts is located at 3490 East 7th Street.